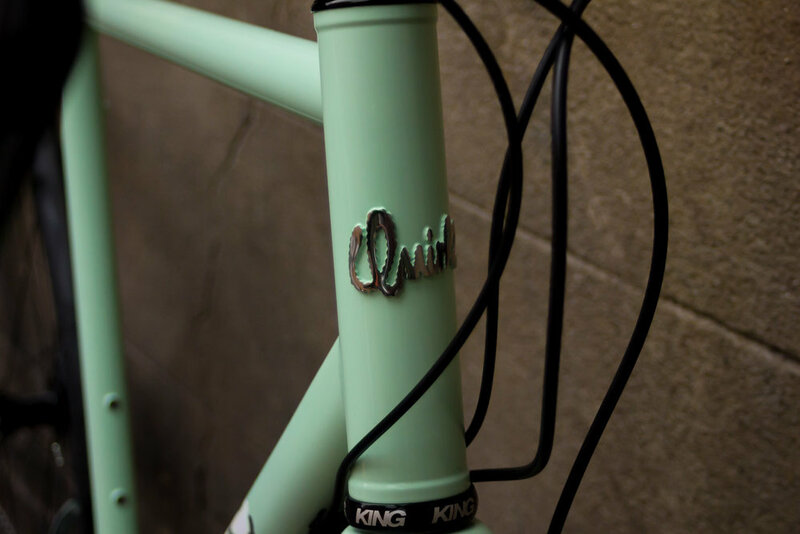 FINISH: You might have seen this frameset if you visited us at Spin London at the Olympia earlier in the year. 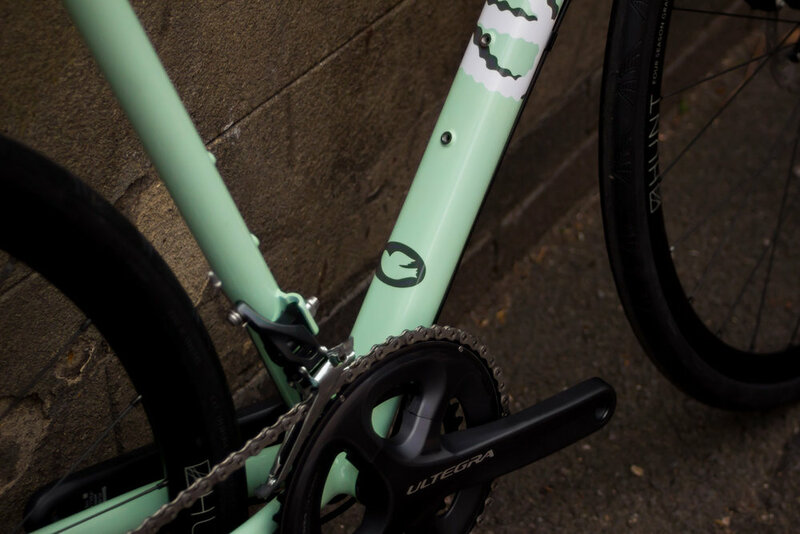 This finish features a skilfully chosen and well-balanced colour palette of Pistachio, Cream and grey flourish. 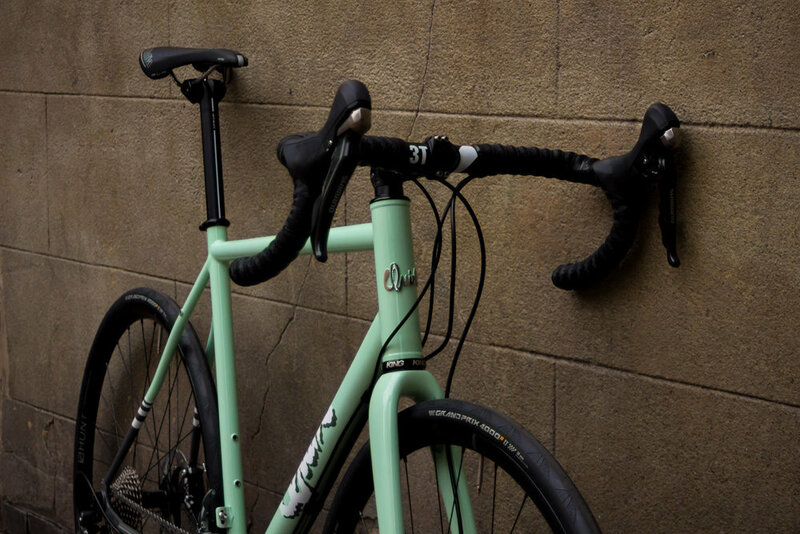 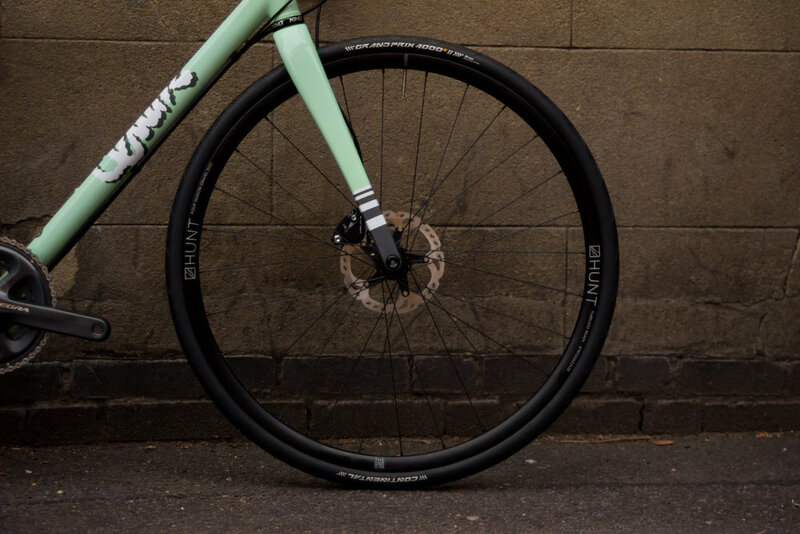 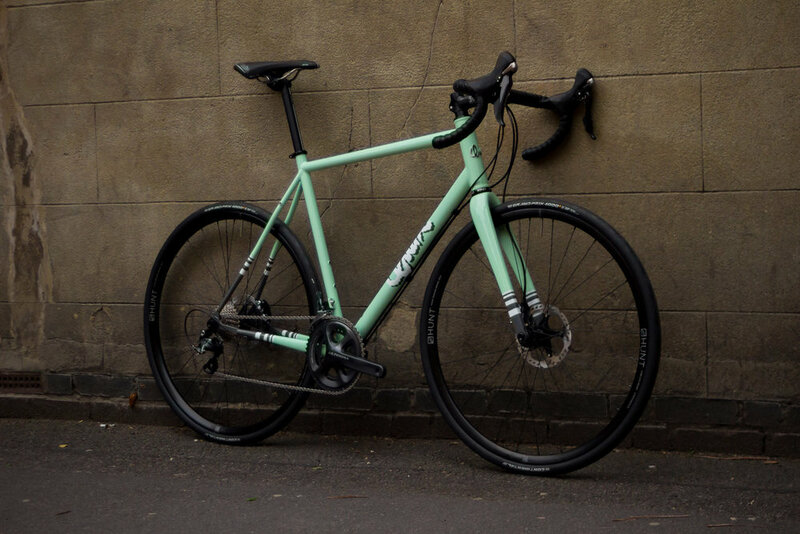 The extremities of the frameset play host to a spread of varied weight colour bands acting as punctuation at the front and rear of the bike. 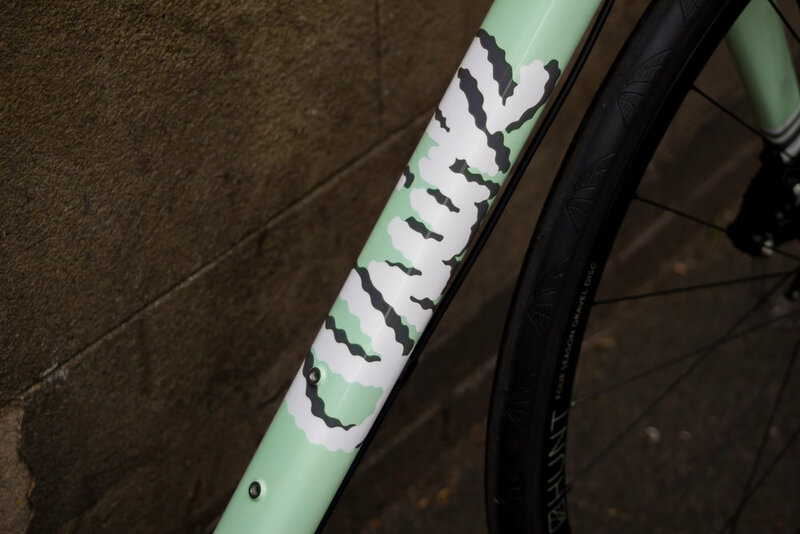 As usual, the headtube features a brushed stainless headbadge but for our money, the best technical feature is the drop-shadow logo on the downtube which was a lot of fun to do and really helps the graphics 'pop'.